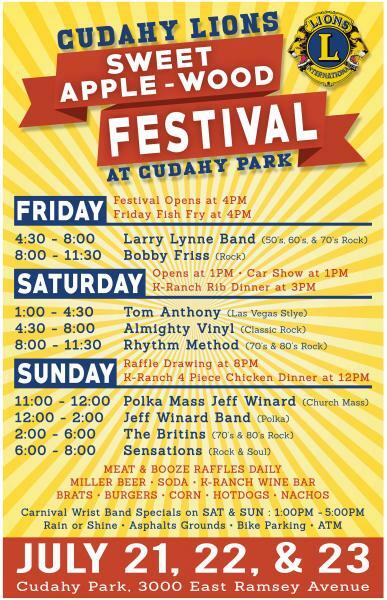 Three day festival featuring live music, food, beverages and carnival rides. Meat Raffles and Booze raffles help several times a day. Located in a beautiful park setting. Held rain or shine.